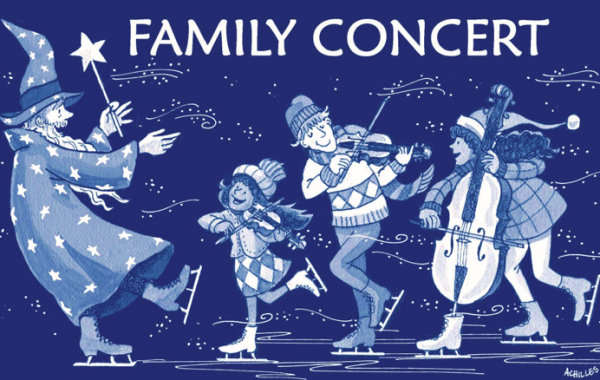 The Bucks County Symphony Orchestra presents its annual Family Concert at Central Bucks High School East in Doylestown, PA. The Orchestra will feature its Youth Concerto Competition prize winner, 13-year-old violinist Lea Wang. Special guest instrumentalists will be the string players from Bridge Valley, Doyle, Kutz and Warwick Elementary Schools under the direction of Lauren Herrschaft. What a wonderful way for the entire family to enjoy an afternoon of entertainment together! TICKETS: $10 for adults ● students admitted FREE. Lea Wang is 13 years old and a distinguished honors student in eighth grade at Holland Middle School in Bucks County, Pennsylvania. Lea began studying piano at age four and violin at age five. She serves as the co-concertmaster of the Philadelphia Young Artists Orchestra for the 2017-18 season and served as the concertmaster of the 2017 Bucks County Music Festival. Lea is an active chamber musician during the year and while attending summer camps. 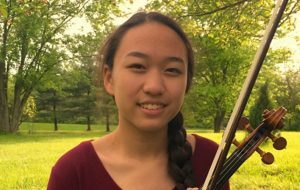 This past summer, she attended a string intensive program at the Boston University Tanglewood Institute in Lenox, Massachusetts, and served as the concertmaster of its junior string orchestra. Last summer, she was at Point CounterPoint in Vermont playing in the advanced chamber program in a piano trio (as a violinist) and a piano quartet (as a pianist). Lea was a Silver Medalist at the First in Math 2016 Pennsylvania Math 24 Tournament and a 2016 Pennsylvania State Finalist in the National Geographic Bee. She placed first at the 2017 Pennsylvania Junior Academy of Science (PJAS) Science Fairs at both the regional and state levels. Lea enjoys reading, swimming, coding, and traveling the world.